Graduated in 1995, from a Hotel Management School in Lyon (Institut Paul Bocuse, Lyon, France), I decided to pursue my career in the luxury hotel industry in London and Edinburgh. After four years spent at the Hyatt Carlton Tower, at the Conrad Hotel, and at the Caledonian hotel, I made the decision to return to Paris. Having grown up surrounded by antiques and paintings, my father (an antique dealer for more than 30 years) asked me to help him, to develop his business abroad. This event determined the rest of my career. Since 1999, I manage the art gallery, La Tour Camoufle, in the Swiss Village in Paris, specialized in furniture, objects and paintings of the 18th and 19th centuries. In parallel with this full-time activity, I satisfied my passion for gemology and took a 4-year training course. 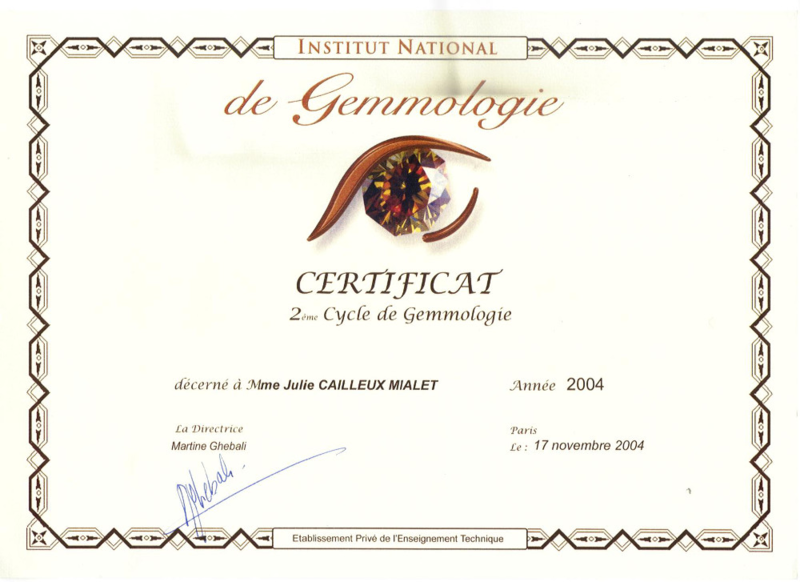 I graduated from the Institute of Gemology in Paris since 2004. 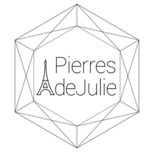 In 2005, I created “Les Pierres de Julie” and I specialized in the expertise of precious stones (sapphire, emeralds, rubies, diamonds) and gemstones still unknown to the great French public (Tourmaline, peridot, tanzanite, aquamarine, rubellite, pink sapphire, tsavorite garnet, spessartite garnet, rhodolite garnet, spinels, chalcedony, kunzite, Paraiba tourmaline …). Thanks to my skills, my professionalism and my dynamism as well as my networks of lapidaries and suppliers around the world, I will be able to advise you and help you to find and create a unique jewelery. My creations, necklaces, rings, earrings can be worn according to the outfits, seasons and moods of each. An ideal price range for heart-throbs, quality manufacturing, personalized advice and a point of sale in the Swiss village in Paris make Pierres de Julie a must-see place to have fun and find a jewel, a unique piece to offer.